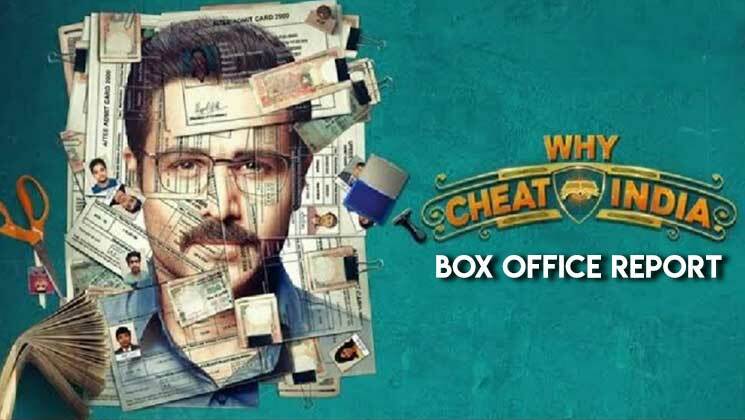 Among the three films that were released this Friday, the Emraan Hashmi and Shreya Dhanwanthary-starrer ‘Why Cheat India’ was clearly the one with a maximum buzz surrounding it. It is also to be noted that Emraan made his big-screen comeback after a long time. Directed by Soumik Sen, whose name was recently embroiled in the #MeToo controversy, the film was released on the same day with Arshad Warsi‘s ‘Fraud Saiyaan’ and Govinda‘s ‘Rangeela Raja’. While ‘Fraud Saiyaan’ and ‘Rangeela Raja’ received negative comments from the critics, ‘Why Cheat India’ has earned mixed reviews. The Bollywood Bubble’s film critic Sameer Jha gave the movie three stars. The film which is inspired by true events, has opened on a mild note with a collection of Rs 1.71 crore. The film’s plot is based on the corruption prevalent in the present-day education system of the country. Emraan Hashmi is seen as the kingpin of an admissions racket that involves getting brilliant students to write engineering and management entrance exams for other candidates in exchange for money. The Emraan Hashmi film is facing stiff competition from ‘Uri: The Surgical Strike’ and Ranveer Singh’s cop actioner ‘Simmba’ which could be another reason for failing to impress audiences at the box office. As per trade experts, the film could be one of Emraan Hashmi’s lowest openers in his acting career so far.